The Atlanta Falcons were awarded three compensatory draft picks for the 2014 NFL Draft: a fourth-rounder and two seventh-rounders. 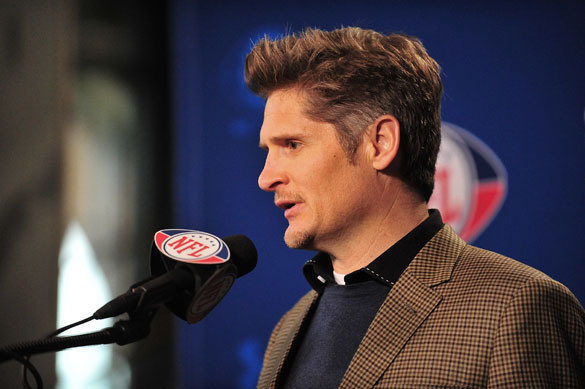 Falcons get three compensatory picks, including a fourth-rounder and two seventh-rounders. The Falcons were given the extra draft picks based on last season’s free agent loses: cornerbacks Brent Grimes (Miami Dolphins) and Chris Owens (Cleveland Browns), tackle Will Svitek (New England Patriots), and defensive tackle Vance Walker (Oakland Raiders). As it stands now, the Falcons have 10 picks in the upcoming draft. 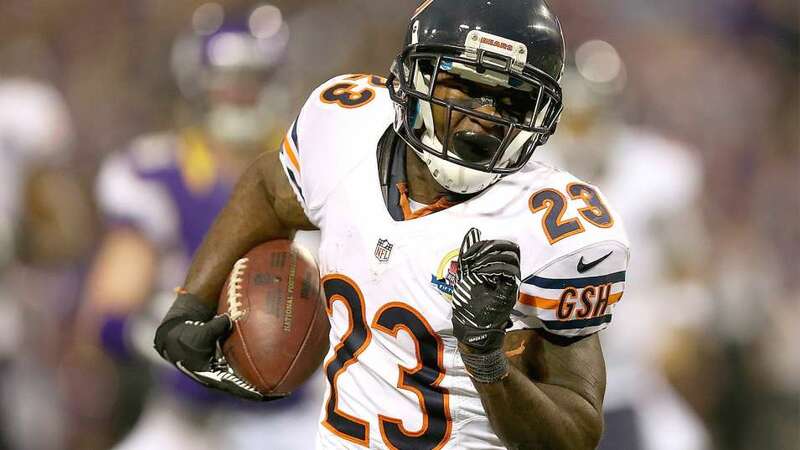 The Atlanta Falcons have agreed to terms with return specialist Devin Hester on a three-year deal. Hester was drafted by the Chicago Bears in the second round (57th overall) of the 2006 NFL Draft. As a rookie, he set an NFL record with six return touchdowns, including a punt return for a touchdown in his debut. 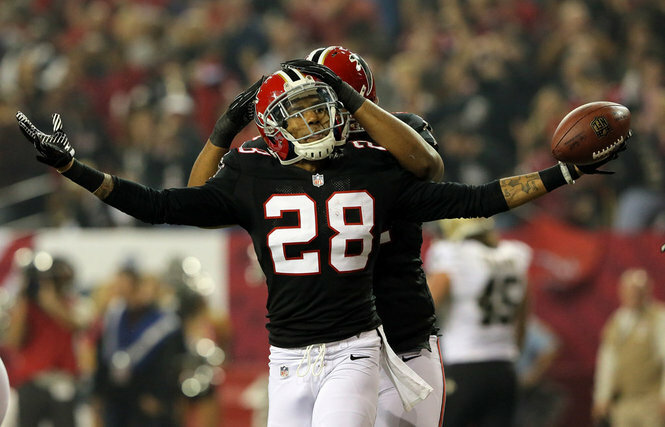 The Falcons haven’t had a kickoff or punt return for a touchdown since 2010 – back with Eric Weems returning kicks. Last season, Atlanta averaged 24.4 yards per kick return and 8.3 yards per punt return. Hester will undoubtedly fix those woes – last season, he averaged 27.6 yards per kick return and 14.2 yards per punt return, including a touchdown. He also holds the NFL record for most career kick and punt returns for touchdowns with 18. He’s gained 5,504 yards on 222 kick returns and 3,241 yards on 264 punt returns. Yes, Hester’s markedly dangerous. Falcons told Hester they'd figure out some creative ways to use him, so I expect to see him some on offense. For his career, Hester has totaled 217 receptions for 2,807 yards and 14 touchdowns. 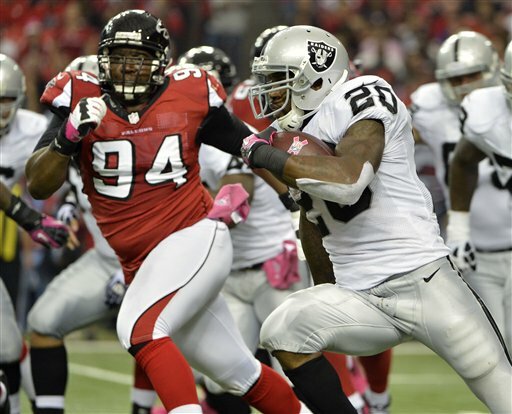 The Atlanta Falcons have re-signed defensive tackle Peria Jerry. #Falcons re-signed DT Peria Jerry. I couldn’t tell you why. It seemed the Falcons had no interest in bringing the first-round draft pick bust back, but alas. Atlanta selected Jerry in the first round (24th overall) of the 2009 NFL Draft. He suffered a season-ending knee injury in the second game of his rookie year and hasn’t seemed to recover. Jerry did have the best season of his career last year, totaling 33 tackles and three and a half sacks in 14 starts. Also, the Falcons signed cornerback Javier Arenas to a one-year deal. Arenas was a draft pick of Scott Pioli while he was the general manager of the Kansas City Chiefs, so there’s a bit of familiarity there. He was selected in the second round (50th overall) of the 2010 NFL Draft. 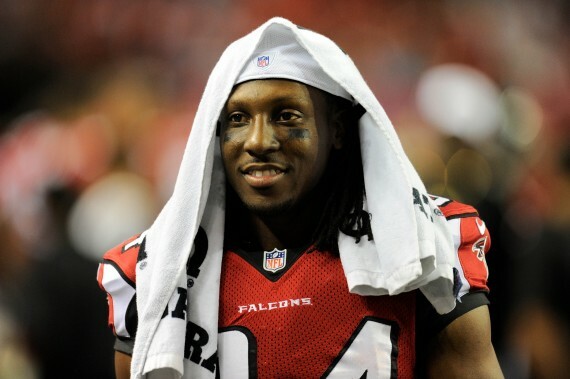 If there’s one thing Atlanta Falcons wide receiver Roddy White doesn’t do is hold his tongue. After the Falcons went out and signed nose tackle Paul Soliai and defensive end Tyson Jackson on the first day of free agency, it was clear the plan was to have a more 3-4 based defense. The Atlanta Falcons knew they had to get tougher, beginning with both the offensive and defensive lines. And with free agency officially underway, getting tougher is exactly what the Falcons did. They agreed to terms with right guard Jon Asamoah and defensive end Tyson Jackson, both former members of the Kansas City Chiefs. It’s safe to say assistant general manager (and former general manager of the Chiefs) Scott Pioli had some say in the two signings. Atlanta also agreed to terms with nose tackle Paul Soliai. Falcons announce Jon Asamoah, Tyson Jackson, and Paul Soliai have all agreed to terms. Asamoah will be an immediate starter and a significant upgrade at the right guard position. He’s a polished pass blocker and will provide Matt Ryan with much-needed protection. The signings of Jackson and Soliai show the Falcons are moving toward a 3-4 look – defensive coordinator Mike Nolan’s specialty. It’s early, but it looks like the Falcons are headed back in the right direction. With the 4:00 p.m. EST free agency start time looming, the Atlanta Falcons brought a couple of their free agents back. Falcons DT Jonathan Babineaux agreed to terms on a 3-year contract extension, per source. Falcons wanted Hawley back all along. Believe he brings toughness at center. Both are good signings for Atlanta. Babineaux has spent his entire career with the Falcons and has been an underrated, disruptive tackle. Hawley played well once he usurped the starting gig from Peter Konz. The two centers will compete for the starting spot with Hawley the likely winner. 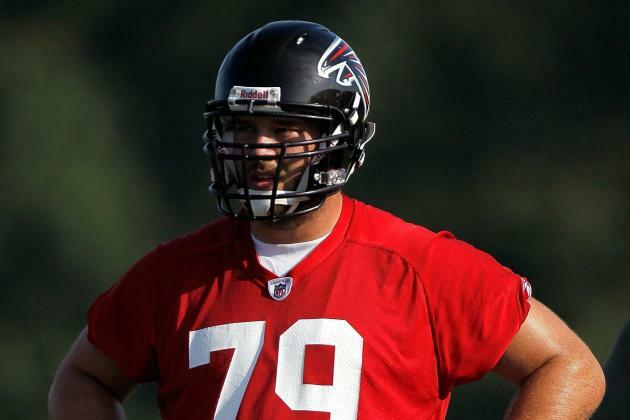 The Atlanta Falcons have re-signed offensive lineman Mike Johnson to a one-year deal. Johnson looked to have the inside track to the starting job at right tackle last year before going down for the season with a dislocated ankle and fractured fibula in practice. The Falcons selected Johnson in the third round (98th overall) of the 2010 NFL Draft. As it stands now, Atlanta has Johnson competing with Gabe Carimi, Lamar Holmes, and Ryan Schraeder for the right tackle spot. 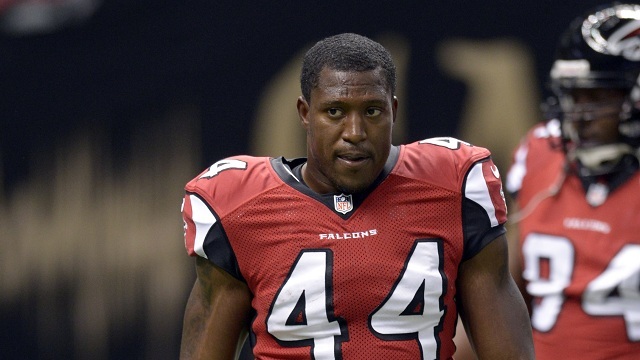 The Atlanta Falcons have announced running back Jason Snelling will retire. Falcons RB Jason Snelling has decided to retire after seven seasons, the team announces today. Snelling was selected by the Falcons in the seventh round (244th overall) of the 2007 NFL Draft. During his seven-year career, he totaled 1,256 rushing yards, 1,033 receiving yards, and 14 touchdowns (8 rushing, 6 receiving). Last season, Snelling carried the ball 44 times for 164 yards and a touchdown. In the passing game, he caught 29 passes for 216 yards and three touchdowns. Snelling saw the most action in 2009 after Michael Turner was injured. During that season, he had 142 carries for 613 yards and four touchdowns, adding 30 receptions for 259 yards and one touchdown. What made Snelling valuable was his versatility: he could play both fullback with running back. 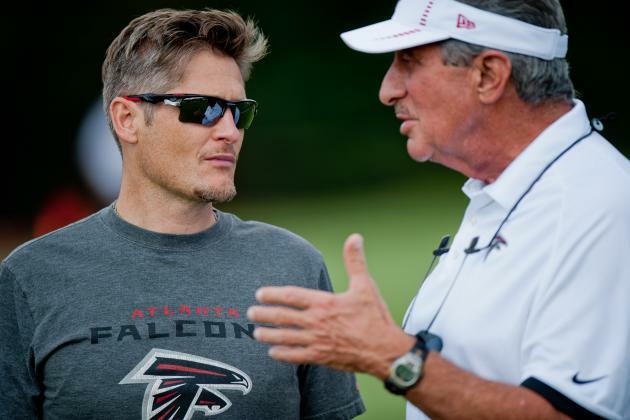 He was the ultimate team guy, sticking with the Falcons even after they drafted Jacquizz Rodgers in 2011 and signed Steven Jackson last season. 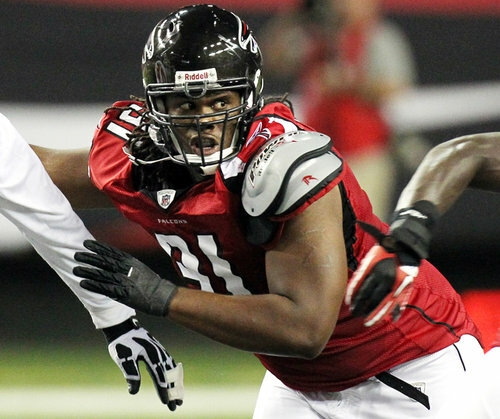 The Atlanta Falcons have signed defensive tackle Corey Peters to a one-year deal. Peters is coming off his best season – recording a career-high five sacks – but he suffered a torn Achilles tendon in Week 15 against the San Francisco 49ers last season. His one-year deal is clearly a prove-it deal; if he performs as he did this past season, he’s going to be treated to a lucrative, multi-year contract. Peters is the first of Atlanta’s free agents to be re-signed. 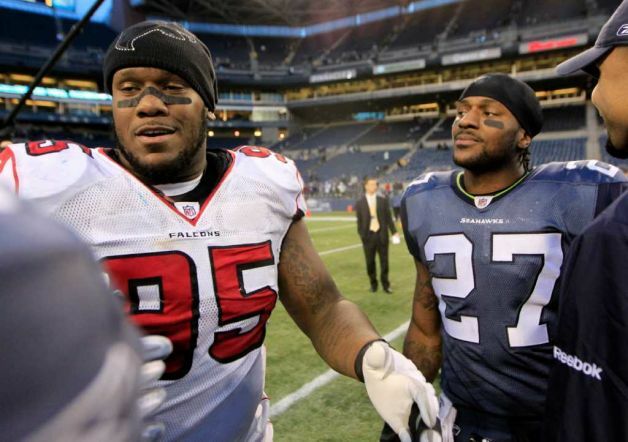 The Falcons have also been in talks with defensive tackle Jonathan Babineaux and center Joe Hawley.